Changes can be good. Normally, I have a kind of a filter on what I choose to talk about and how much attention I choose to pay to certain things musically speaking. Besides just my personal tastes, in respects to actually writing about something, I tend to go for things and artists who either are not the most popular or, if they are, they are the most popular only to very keen Reggae fans or whichever genre we're dealing with on that particular day. In this case, of course, I'm speaking of the Sizzlas, Midnites and Capletons of the world who are easily household names in Reggae circles, but are as likely to receive a nomination for a Grammy Award as I am to receive the distinction of 'best grammar-checker' (don't do it, not one time) (no behaviour!). In going that route, I often do so, as oddly as it sounds, to the exclusion of some of the most popular Reggae artists in the world - a Reggae writer who would do such a thing! - (none!) but I have a good reason. The thinking and the [semi] rationale is that I can't possibly have anything to add to someone's knowledge of… Ziggy Marley. Or surely one more review of the new Sean Paul album ["Tomahawk Technique", in stores now] can't possibly help anything for anyone. And in recent years, I've done that for Marley, Sean Paul, Toots & The Maytals and a variety of others where it just seems kind of redundant to pile on to the lot in those instances. But of course that doesn't necessarily mean that I'm not paying any attention to them at all. Just last year we paid a proper amount of respect to Stephen Marley who is another artist I typically feel isn't starving for some coverage, with his latest album "The Revelation Part 1: The Root of Life". And as I explained in the review for that album, most of the Marleys, with the exception Damian and Ky-Mani most recently, don't really fit within the more general scope of Reggae music and for more reasons than besides their name. 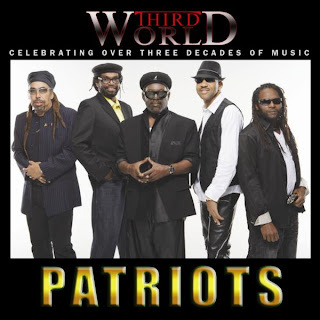 Incidentally, someone else jumping up and fitting in this category inside of that same timeframe would be the legendary Third World band who apparently struck gold in the form of their own album "Patriots". While I didn't write for that album (which included featuring spots from the aforementioned Stephen & Damian Marley) (and about two hundred others), I did listen to and enjoy it. It was very good and, retrospectively, should have been at least an easy nominee for a Grammy. I did miss that one. I won't miss this one. Around the same time "Patriots" was busy doing what it was doing, the venerable Bunny Rugs, frontman for Third World began making noise of his own on a solo level with the announcing of an EP which was aimed at making waves for a forthcoming album. Like the album named after it, the three-track set was named "Time" and the album was 'on its way'. Apparently successes at his 'day job' delayed things for Rugs, however, as now having ridden the wave that was "Patriots" to a success, 'time' has apparently come. 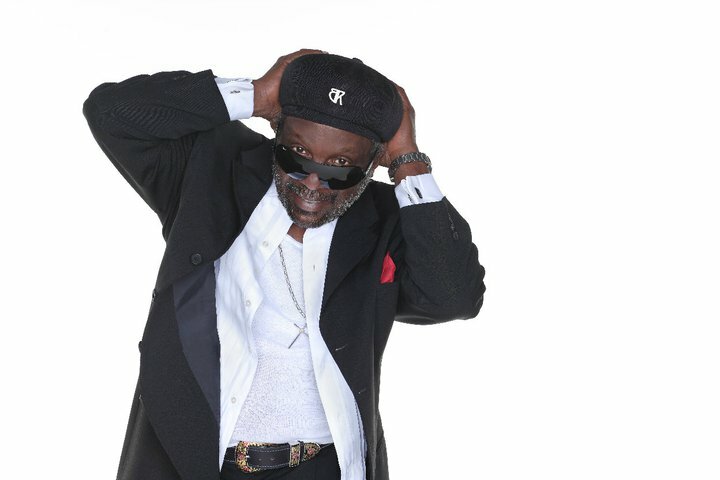 Again, I don't at all think that I can possibly make a significant contribution to your knowledge of Bunny Rugs, because there simply isn't a lot which hasn't been said, but the fact that he is releasing a brand new solo album, just as it would have been ten months ago, is a very big deal. Known, at least partially, for his activity (DUH! ), it has been quite some time from last Rugs blessed the world with a solo project. His most recent effort, prior to this one, the Gospel-leaned "I'm Sure! ", came half a decade ago and in reading some of the presswork for the "Time" album, he didn’t delay very much as this album has been in the planning stages for more than three years now, which makes a great deal of sense as he's never been the one to take a great deal of time away (not that he would have in this case either, he's clearly been busy). 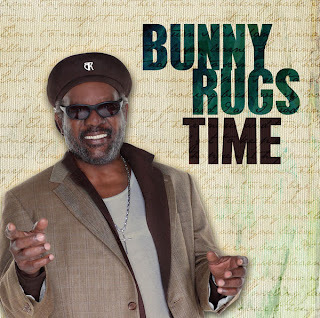 Now, one would have to imagine that in just doing the "Patriots" album, fans new and old alike would be very open to the idea of dealing with a new Bunny Rugs album and, so maybe the delay was a fine idea after all. As far as "Time" goes, even before you get to the music, there're so many interesting and captivating aspects around the album. As you might expect from someone of his class, Rugs is afforded the opportunity to work, as a solo artist, with just as big and talented names as he is whilst with Third World. Working on this album is as impressive a collective of maestros that you're likely to find on any single album from this most decorated of years. Names such as Dean Fraser, Sly & Robbie, Richard 'Bello' Bell, Dean Pond (who also takes a producer's credit on "Patriots" and is one of my personal favourite producers - someone who has gone from being one of the most talented producers on the Virgin Islands scenes to now working with such an esteemed group of people - definitely happy for Pond) and others helm the musical watch for the album and they provide Bunny Rugs with a fittingly strong background over which to deliver this set. "Time" comes via Rugs' very own Raw Edge Productions imprint as well as, most interesting, VPal. The latter is a subsidiary (love that word) of VP Records who has ALWAYS been very active, particularly as of late, in picking up certain albums and distributing them and here, they've made another excellent choice (as they did earlier this year when they did the same for Perfect's "Journey of 1,000 Miles"). The early reaction seems to have been quite strong and just based on our readers and the small bit that I have read, anticipations are high for the album and, hopefully, it does well. Surely, regardless if it does or not remains to be seen and heard, but the biggest question is whether Rugs' "Time" is worth the… time or not. Of course it is and I'll tell you why. Bunny Rugs, if you aren't familiar (shame on you), has one of those voices which is just absolutely PERFECT for singing Reggae music. You could place it within the context, fully, of another genre and it may not have the same appeal, but he really fits into a very nice group of artists for whom it appears as if vocally they were full on destined to sing this type of music. Want an example? Pick up his brand new album, "Time" from Raw Edge Productions, which gets up and going with the very familiar 'Just Can't Deny'. The tune was carried on the aforementioned album EP from last year and remains as splendid today as it was back then. It's a sweet Lover's Rock vibed tune and one, as you would imagine, is a very MATURE piece and it is a gorgeous selection as an opener. Even stronger, to my opinion, is the next effort on board, 'Heaven Sent - Dat Feeling' (so nice, they named it twice), which I don't think that I have ever heard before. It's another beautiful love song, this one even more vibrant than the well lively first track and definitely one of my favourites on "Time". And Bunny Rugs keeps the mood going with a tune which was reportedly done for his own wife, the classically vibed 'You're My Everything'. The tune actually reminds me, for some reason, of probably the single best love song I've ever heard, 'No Disturb Sign' by Beres Hammond, and that's a good thing as Rugs rounds out the opening lot of "Time" which definitely centers on the demonstration and displaying of striking love songs. Not surprisingly the subject which prevails on the opening fifth of the album is one which routinely reappears throughout the album as well as, by its end, "Time" does really deliver some OUTSTANDING Lover's Rock. Have a listen to the very interesting and textured 'We've Got The Formula', a sterling tune. I almost hesitate to call this one a 'love song' and it doesn't at all register with the distinction in the stereotypical way, particularly with its kind of further-reaching vibes. This is an almost great song to my ears and one with a serious amount of star-potential if it should be given the opportunity to shine and it just might be. 'Settling Down' is a similar track also. This one isn't amongst my very favourite pieces on the album, but I think it definitely will find a nice audience, particularly amongst the more old school centric heads as it utilizes a cut of the Queen of the Minstrels Riddim. 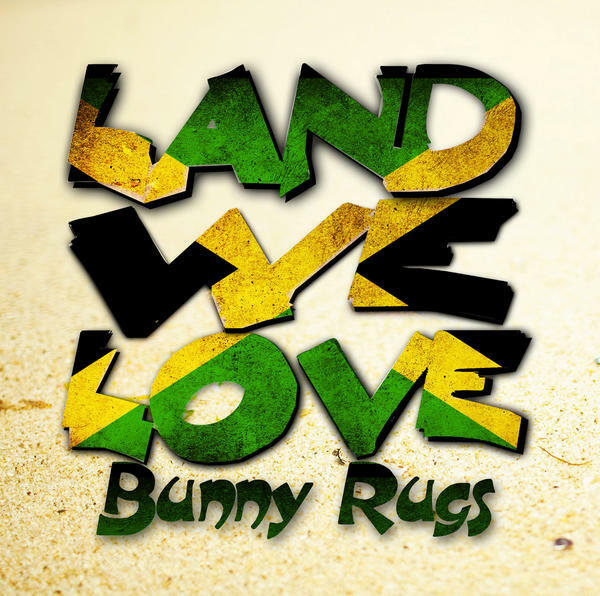 And speaking of classic riddims, Rugs cover the other side of love with 'Love Is Blind' which comes through across the Tune In Riddim [aka, in this instance, the Bad Treatment Riddim] and was also present on the album's pre-EP. I do really like this track and it's probably one of the older tunes here as I remember it from a few years back now and it's just as strong now. You'll also check the decent 'What Kinda Man' (which is growing on me now) and the nearly massive 'Thinking Bout You' which rides through on Dean Pond's fantastic riddim which I'm going to name the Unchangeable as it, most famously, is known for having backed a tune of that title which was also the title track of the second album from VI standout, Danny I. To my ears, alongside 'Heaven Sent - Dat Feeling', it stands as the one of the two best love songs on the whole of “Time”. 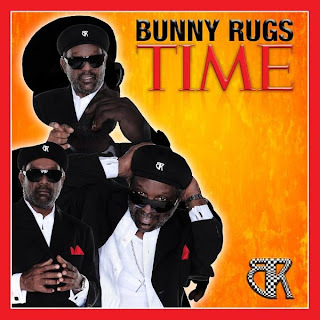 Unsurprisingly (coming from me), although I do very highly rate some of the Lover's Rock material on the album, the pinnacle of this 'time' announces itself when Bunny Rugs focuses on the more social/cultural topics throughout. A song such as 'Kurfew', for example, which was the remaining selection on the EP, is outstanding and, in my opinion, ranks in the class of the very best of this album. What about the rights and what about the principle? Who is gonna help those caught in the middle? And tired of the hatred!" There is a song on here which is very familiar to my eyes and ears as it came from back a few years ago on one of what I feel was the most underrated tracks of its era. 'Solutions' is afforded the gorgeous Consuming Fire Riddim which was produced by the legendary Gussie Clarke. The tune follows the story of a young woman struggling to make it day by day and it's somewhat sad and it's somewhat uplifting and by its end a most FULFILLING tune to my opinion. Later on in "Time", we come across another big tune in 'Bed of Roses'. Another piece of handiwork of Sly & Robbie's, this is one lively piece of inspirational music which reminds the masses to be aware of all situations because even the sweetest can be well bitter. 'Don't Give It Up', which comes through next, follows on a similar sentiment as does the much earlier offering, 'Never Give Up'. Both of these tunes (especially the latter, which takes a decidedly more spiritual route and is absolutely wonderful) really make up a nice piece of a body for the album and while not all of them will receive their fairest share of the spotlight of attention, I'm damn confident they're going to be finding places as the favourites for many, many listeners - including me. Still, I have to say that my personal favourite tune here is definitely the title track which is fantastic (even with the vocal effects). Dean Pond once again helms this one and he and Bunny Rugs [and Eno Stafford] produce a magical piece in the process. The tune is a classy one and a powerful pillar of support for the album named after it. And lastly is the tune sure to receive the most attention on "Time" (and it has already), the album's official first single, 'Land We Love'. This piece is just Rugs giving love and a moving tribute to the most wonderful place on the planet as she celebrates her fiftieth year of life in 2012. So many songs did this very same thing, but I have to say that, to my opinion, Rugs' effort clearly registers as one of the greatest. Overall, I'm left thinking that "Time" is, essentially, everything I would have and maybe even could have hoped that it would be and I don't have any type of lasting criticisms. Of course a vocal combination or two would have been nice, but following the "Patriots" album which had nearly every song with a guest, perhaps this was the better direction. The album does prove to be something which can live up to the expectations in/of having such a legend working with such an esteemed group of producers and spending three years working on it. So! While I may not actually be able to tell you a damn thing that you don't already know about Bunny Rugs & Third World, I can tell you that "Time" is a very good album which would make an excellent addition to your collection. Well done.